Covering San Diego, Riverside, and San Bernardino Counties! Find out if you qualify by requesting a free phone consultation. The Ruhl Team is Southern California’s premier Short Sale Group with over 1000 successful short sales and over 60 years of Short Sale negotiation experience! Requires a short sale. They are extremely knowledgeable and set clear expectations early in the process. They made a complicated process very streamlined and hassle free. They were accessible throughout the listing period and the sale. Highly likely to recommend From start to finish I felt comfortable with Brian and his team. They were knowledgeable, empathetic and willing to go to bat for my family during the short sale process. Their communication was efficient and they explained things to me if/when I needed it. I truly believe that we would not have made it thru the process without TJ, Becky, Brian and the entire team! Highly likely to recommend Professional and Outstanding Service. Brian Ruhl and his team EXEMPLIFIED EXCELLENCE. Brian Ruhl and his team made the Short Sale process of my house easy and stress free. I would recommend Brian Ruhl and his team to anyone who wants to sell or buy a home. They're down to earth and will go all the way to help you. Highly likely to recommend Dave came to be my agent through the seller....usually that's not ideal. But suprisingly he was great. I was wary from the get go but it was all for nothing. House buying requires constant communication and Dave was always on top of it. In terms of experience and knowledge there was always an explaination or a good referral. Seemed to have my best interest in mind through out various points and it was good to have. He is professional and in that sense he keeps things moving if you're serious about buying. Obviously there are various sides to buying a home but from a purely buying agent side of things he was great. If you happen to come across this review, you should definitely give Dave a try. I can't say that I'm a master judger of character but he seems like a good guy which in a lot of ways was a relief. Highly likely to recommend TJ was excellent from beginning to end. He was communicative the whole way through, kind, responsive, knowledgeable and really easy to talk to. We appreciated his attention to detail, his creativity and modern approach to selling our home. Highly likely to recommend He was excellent in guiding us through the buying process. We saw many, many properties and he was always very patient with us. I recommend Dave Walsh, he is excellent!!!! Highly likely to recommend I’m very happy that I contacted Brian and his group. They are professionals and they have a lot of patience with you. In today’s world, things not always go your way but Brian’s team help you to deal with all obstacles banks put in your way and at the end of the day, you got taking care of and your deal is complete. Thank you guys very much! Highly likely to recommend Dave was the best in helping me with the sale of my home and purchase of my new condo. He took a tremendous amount of the pressure and stress of selling and buying off my shoulders, and made everything very manageable. My property sale was very unique, with a few out-of-left-field developments, and he was with me every step of the way, above and beyond my expectations. A true professional, very friendly and compassionate. During the time my house was on the market, I had to leave for three weeks to help a family member. Dave worked with my appointed surrogates during my absence, arranging showings, and even walked my dog a few times during them! I highly recommend Dave and plan to refer him to anyone who mentions in my hearing plans of selling or buying a home in the future. If you want things to go right with a home sale or purchase, Dave is your go-to guy! Highly likely to recommend TJ knows how to list and sell real estate. I've been involved in many transactions with TJ and whether it's a short sale, traditional sale, or investor flip he always comes through. Highly likely to recommend I cannot say enough good things about Dave. As first time home buyers, my husband and I were completely clueless about the entire process. Dave walked us through every single step, helping us feel comfortable and informed. He answered every single question (there were a lot of them!) with professional knowledge, personal experience, and excellent advice. He was quick to respond, super on top of every detail, and proactive about anything we needed to get done. He even made a few tentative appointments on our behalf when he knew it was a time-sensitive matter. We simply couldn’t have purchased our home without Dave. I know for a fact he helped us get a better deal - one that worked for everyone involved in the sale. I can say with confidence we will never go into any real estate deal without Dave by our side. He truly goes above and beyond. Highly likely to recommend You and your company have been absolutely awesome. From the moment I called you regarding what I needed, you were there every step of the way just as you promised. I am amazed at the great customer service and how involved you were. You kept me abreast of everything going on. Thank you again for everything. You made what could have been a horrible experience seem like a piece of cake. I know a lot of work went into this and my family couldn't appreciate you more. Thank you!!! Highly likely to recommend TJ was incredible from the very beginning of our process all the way through escrow. We started looking almost a year before we found our home and TJ never pressured us once. When we found the place he efficiently guided us through the process. He answered all questions and made what we were expecting to be a difficult process very straightforward and enjoyable. We have already recommended TJ to friends and will continue to do so for anyone in the buying process. 5 stars. Highly likely to recommend TJ was the absolute best to work with! Very professional and knowledgeable about the market and the areas we were looking at. He was very responsive and easy to get a hold of. To be honest I was very apprehensive about this whole process because it’s my first home, but he made it so easy and I genuinely felt he had our best interest at heart. We couldn’t have found our dream home without him! Highly likely to recommend My wife and I highly recommend Dave Walsh as your personal real estate professional. Being from out of state and being somewhat particular, our condo search for a second residence proved challenging for us. Dave is patient, kind, and a good listener. He took interest in who we are and worked hard to meet our desires in our search. Dave went beyond the call of duty to meet the demands of our schedule. His knowledge, demeanor, honesty, and exceptional efforts speak highly of his professionalism and commitment to his clients. We are confident that you will be pleased having him as your professional agent. Highly likely to recommend My experience with Dave has been fantastic. We looked and looked in my area for a home for my mother. Unfortunately, she was priced out of my local market due to her fixed income and more expensive tastes... Dave was wonderful about follow up and communication the whole time. When I finally had to ask Dave about another area, he was quick to admit he was not as familiar with the new area, but offered the most amazing recommendation! He referred me to an agent he knew who specialized more in the area we were now searching. We found a great home with a terrific agent and had an excellent experience - all because Dave offered us very professional advice. We sure lucked out when we found him - I would highly recommend Dave Walsh for any real estate sale or purchase! Highly likely to recommend Dave was an absolute pleasure to work with. He found us our dream house and fought for us every step of the way. Giving us a lot of advice without telling us what we should or shouldn't do. I would definitely recommend Dave to anyone looking for a new house, or listing one for sale. The sale went smoothly and quickly and has already appreciated since we purchased in March, 2018. Highly likely to recommend Highly Recommended! Brian helped us sell our house super fast, we had multiple offers within a week. Very knowledgeable and responsive. Thank you! We are very pleased with the quality of service you provided. Highly likely to recommend My daughter and husband were relocating to San Diego from out of state, and operating on a very tight time schedule. Fortunately we met Dave at an open house! Over a six week period, Dave made himself available virtually 24/7 to show me homes, speak with listing agents, and work with my daughter’s loan officer. They were successfully able to get an accepted offer- even working long distance. Dave continued to be indispensable in coordinating inspections and negotiating with the sellers. They are now happily settled in their new home. Thank you Dave! Highly likely to recommend My home was sold without listing and I had been in contact with Brian previously in regards to listing my home. He was extremely helpful in all aspects of the sale, communication, information, escrow company etc. In addition, his office associates (Becky) was available to answer all questions and concerns quickly and completely. The house closed on time and all went very smoothly! 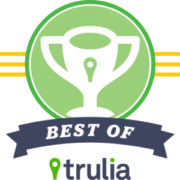 Highly likely to recommend Throughout the whole proscess of selling my property Mr. Brian Ruhl was great! He is knowledgeable, considerate, and professional. He was great at communicating and keeping in contact step by step thru the sale and escrow. I will definitely be recommending Brian Ruhl in the future. Highly likely to recommend The whole Team and Skip went above and beyond! Highly recommended. Helped with contractors , helped with the movers and negotiated with our renters. House was on the market less than a week and we had a full price offer. Would work with this team again if we ever move back to Ca. Highly likely to recommend I'm not one to normally do reviews but these guys really made my process go so smooth I have to say something! All the headaches and nightmares I hear about selling houses, I'm happy to say I had NONE! I'm very busy and had a ton of things going on and working with them, they made it no bother, found me exactly the type of buyer I wanted and got me the deal I wanted and exactly in the time frame I needed. It was my first sell and they gave me the best advice, referred me to experts too make sure I wouldn't get into any bad positions with anything in the future and kept me updated so I never had to wonder or hunt for answers. I don't know what else to say except if you're reading this, you must be shopping around, stop now, don't even waste your time looking more because you'll be in THE BEST hands with these guys! Highly likely to recommend Brian and Skip were amazing to work with and helped to settle all my real estate needs quickly and effectively. Skip was knowledgeable and always willing to go out of his way to help me! I highly recommend the entire Ruhl team! Highly likely to recommend We met Dave through a home buyers seminar that his company put on which included free food and drinks and a very educational talk about the home buying process. I called Dave the next day to get some feedback on homes available in the area we were looking at, and he setup a search for us to get daily updates on new homes in the area. Every time I asked Dave if we could see a home he was very quick to respond and easily got us in the home the day I asked every time. He went over the top to help us get on a personal level with the listing agent for the home we purchased, and in the end we attribute our offer being chosen to Dave's great wording of our offer, his close and honest conversations with the listing agent and his advice to write a cover letter along with our offer. Great experience all around and would easily recommend to everyone! Highly likely to recommend Brian and his team took the time to answer all my questions and made the process SO easy. They went above and beyond for me and my family. I HIGHLY recommend Brian and his team to anyone with any real estate needs. Highly likely to recommend We found ourselves in a very stressful situation. We had been negotiating with a large loan servicing company to modify our loan. 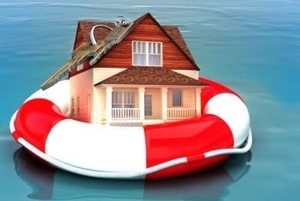 We had worked previously with a realtor who stated they were experts at loan modifications. This company was not successful. We were at the end and very frustrated. We decided to sell. The Ruhl team was a god send for us. Everything that was promised was delivered in the time frame given. We were waiting for the bad news, but everything went as planned. Highly likely to recommend I received an exceptional service from the first meeting until we sold our house from Brian Ruhl and his team esp Skip Adams. Both Brian and Skip put in so much time and effort in helping me in a very professional manner. With the constant communication and updates they have given me, the process of selling our house went on smoothly. With the knowledge and expertise Brian and his team have shown me, I will definitely use and or recommend them. Highly likely to recommend From the very beginning, it was clear that Dave puts his client’s needs at the forefront of each transaction. His educational focus, attention to detail, and ability to negotiate make him a star player. He goes the extra mile for his clients, and he always delivers on his promises. I’d recommend Dave to many. Highly likely to recommend We have been in search for a house for a while now and have dealt with several Realestate agents but never meet an honest, attentive, and genuine agent like Dave. He’s very knowlagable but never aggressive and ALWAYS returns messages and phone calls with honest answers. He helped us purchase a short sale. He did all the hard work. Thank you Dave and keep helping others. Highly likely to recommend Dave is my go-to realtor to recommend to friends looking to buy in San Diego. He was so attentive to us and our needs during the searching process, and was always available to enthusiastically take time out of his weekends and evenings to show us properties around our schedule. We saw 3-5 properties a week for about 2 months, and Dave was always ready to recommend and show us homes! When Dave found the perfect home, we were heartbroken when it looked as though we missed our opportunity. When the first offer fell out of escrow, Dave immediately notified us and was the key to helping us move quickly enough to secure the property. We've now been extremely happy in our new home for 6 months! We can't recommend Dave more. Highly likely to recommend With the many aspects of the home buying process Dave gives great reminders on pitfalls to watch out for. His attention to detail and completeness when sharing details about a property did not leave me wondering about many "what if"s.
When the process is slow, you may want to ping him for an update. It was always reassuring to hear that nothing had been missed and get the current status. Happy to say we closed on our first short sale with Dave! Six months from initial offer to closing... His guidance, clear advice, and even pace made it all come together! Highly likely to recommend David is solid! He is detail oriented, quick to get back to you and works hard for his clients. He is very knowledgeable in a number of neighborhoods in San DIego. He showed me houses in Clairemont and Linda Vista area. Highly likely to recommend Dave has a wealth of knowledge and experience in the real estate industry and simple put, is a great guy; I highly recommend him. He helped me to get a great deal on a home, and I'd definitely use his services again - and was very kind, personable, and patient throughout the whole process. Thanks Dave! Highly likely to recommend He really took the time to get to know me, what I am looking for, and explain every step of the process! Highly recommend him! We ended up not purchasing, but Dave's help was more than I could've imagined! Highly likely to recommend Dave was referred to me by a colleague. He is a true professional who makes his clients' goals his #1 priority. He provided insight, education, and honest communication throughout the process. If you are looking for a real estate agent with integrity who truly puts your needs and goals at the top of the list.... Dave is your guy. Highly likely to recommend I highly recommend Brian Ruhl short sale team because the people are experienced, professional, helpful, and fast response. They are really want to help. Thank you so much Brian! Highly likely to recommend From beginning Brian, T.J., and his entire team were communicative, quick to respond, and knowledgeable. They effortlessly answered questions, and made sale a simple process for my family. Highly likely to recommend TJ helped me buy an investment condo in La Mesa and I was very happy with his service. He was able to negotiate a win-win situation for the seller and I. TJ and the other members of his team were very professional and kept me informed throughout the process. I look forward to doing business with TJ and team again! Highly likely to recommend Dan is an excellent professional. Has much knowledge and experience. His advice helps to make a decision. And other one in 2016 , 9739 Winter Gardens Blvd Unit 3, Lakeside, CA 92040. The Ruhl Team was recommended to me from someone in my office. Everything they experienced I experienced too. Brian's teammates were wonderful and very responsive to my questions as Brian was too. My wife and two boys and their families lived in our home during the 35.5+ years we lived in the home. It was a pleasure dealing with all of the team. After Brian got the process going the primary POC was Travis Finch. When I had some questions I needed answered he responded back to me quickly and more important with an explanation that was satisfying and knowledgeable to make me confident in the process and moving forward to the sale. Thank you The Ruhl Team. Highly likely to recommend Vince is an extremely talented Real Estate Professional. Anyone who uses Vince will be happy they did. When he was showing us homes he was doing a thorough visual inspection and pointing out areas that normal eyes wouldn't see. Vince cares about every aspect of the transaction and making sure your needs and concerns are addressed and taken care of. Highly likely to recommend It was a great experience, and we still stay in touch today! Honest, friendly, family man and now a friend after he helped me find my home. I recommend Dan to everyone I meet who's in the market for a home. Highly likely to recommend Can't say enough wonderful things about Brian's company. Everyone is thorough, knowledgeable and professional. They hold your hand through the entire process and do followup afterwards so you know what to expect. They have access to the best consultants to ensure you are informed at every step and treat you with respect. Cannot thank them enough. Highly likely to recommend This group works very hard to hard to ease you into even the most difficult of problems that might come up. They do not give up or pass you on, they are always reassuring. They make it as simple a process as they can, all is done for you. Thanks to all. Highly likely to recommend WOW! Vince and his team did an incredible job and I cannot thank them enough. We just closed escrow on a short sale in Ramona and it was not an easy one to say the least. I was actually doubting it would come together with the amount of hurdles that were thrown at as (i.e. tackling 3 separate loans with the 3rd not known until the 11th hour). Vince really put his all into this one to save it and make it a great purchase for us. Can't wait to work with him again. to anyone. The most helpful and impressive Brian did in my experience with him was provide me with a flash drive of every piece of paper work involved in the process. I really appreciated that. Highly likely to recommend We purchased our first home 4 years ago with Brian and his team. As a first time buyer, they answered all of our questions and guided us through what turned out to be a very smooth process. Recently we sold that house and purchased a new home all within a very short time-frame. Brian and his agents were there again to guide us through a very different process this time while in a very different and challenging market. His agents and office staff have always been very helpful and I would recommend them to everyone. Highly likely to recommend I worked with Brian Ruhl and his team. Mostly I worked with Travis Finch, who was just great. Both Brian and Travis always wanted to make sure that I understood what was happening and that they answered any and all of my questions. 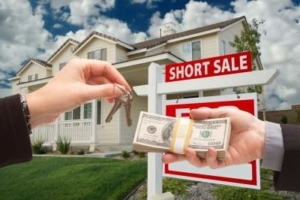 My short sale was a long process with several set backs, but they always let me know that we would get through each and every thing that came up and that they had handled these things before. That was very reassuring. The other people I worked with in the escrow and other areas were also just great. Overall I'd recommend this team to anyone wanting to sell their property. They know what they're doing and they're very considerate of what you're going through. After the sale closed Brian called me to answer any lingering questions I might have and to tell me some things to be aware of.